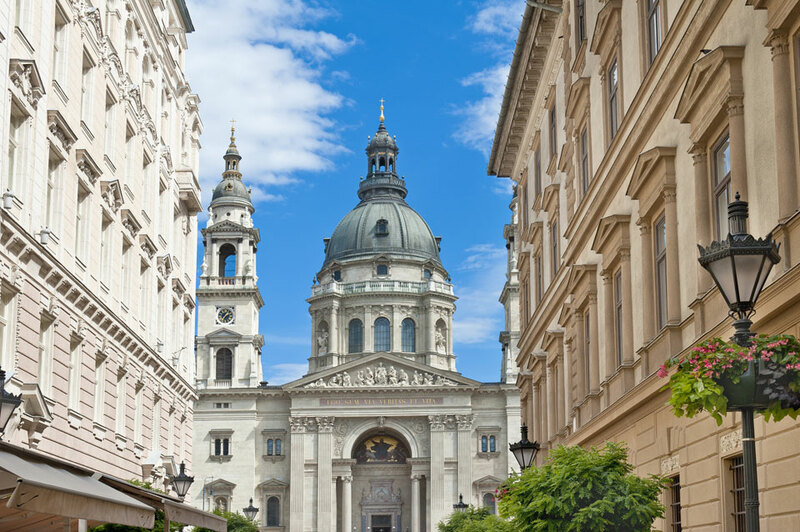 So, you're heading to Hungary and plan to visit the capital Budapest. You're probably wondering how to maximize your budget and still enjoy some of the attractions that the city has to offer. 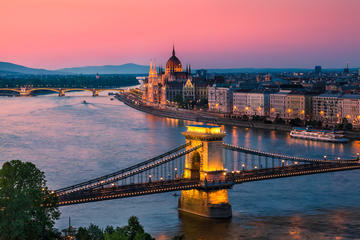 Do you know there are many free things that you can do and see in Budapest? Check out these suggestions, save some money and enjoy the city. The Gellért Hill is situated on the Buda part of the city and stands 235 meters tall. Climbing up the hill would be worth it for every visitor who wants to get a panoramic view of this exciting Hungarian city. The good thing is that the view can be enjoyed both during the daytime and at night (ideally, you should visit the place at nighttime, sunrise, and sunset). What's more, you will not need to walk for hours to reach the top of the hill; depending on your speed, you will need just 10 to 15 minutes to cover the distance. Once you reach the peak, you will see the famous Liberty Statue and Citadella. You can expect a heavy crowd on Gellért Hill; however, that shouldn't stop you from taking pictures of the city from the top of the hill. If you get intimidated by the crowd and don't take as many pictures as you should, you will surely regret it. As few places can offer such incredible view of an entire city. Individuals, who are not fit enough for walking up the Gellért Hill, can cover the distance using public transport. View of Budapest from Gellért Hill. If you are good enough to just enjoy the view and restrain yourself from touching anything the courtyard has, you will not need to spend a single penny to enjoy your time here. 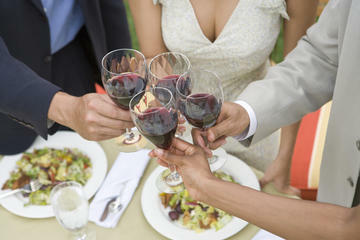 However, eating or drinking at restaurants and cafes would definitely require you to spend. You will find the experience of walking through the courtyard truly fascinating. If you are lucky to visit the place during the summertime, you would experience a festival-like environment at the Gozsdu Courtyard. That's primarily because it's the time when people from different parts of the globe flock here to make the most of their holidays. During other times of the year, the place remains more or less empty (as most flats here have foreigners as owners, who visit Budapest only in summer). A visit to this amazing museum would allow you to witness various aspects of Asian culture. The Hopp Ferenc Museum keeps housing temporary exhibitions; all of which provide deep insight into Asiatic artworks of different eras. In addition, you can also spend some peaceful time at the recently revamped Oriental garden. Some of the highlights of this sedate spot include an artistic statue of Lord Brahma, a renovated Jain shrine, a South Chinese Moon Gate, etc. The overall experience you will have during your visit would surely leave you significantly uplifted emotionally and spiritually. This is one of the most talked about tourist spots and is located along the Szent István Square in Budapest. Individuals looking just for free things to do in the city should avoid visiting this stunning shrine on special concert nights as entries to those events are usually chargeable. Paying a visit to this elaborately decorated church would give you the opportunity to witness a rich artwork collection. Some other things you will be fascinated by when exploring the place include the celestial windows adorned with stained glass and the massive pipe organ. The biggest attraction of the church, however, is St. Stephen's (the founding king of Hungary) mummified hand. For those who don't know, it's the most sacred relic of the country. The hand is kept inside a glass case at the rear of the altar. Like all other things housed by the church, this interesting remnant of the city's history can also be viewed free of cost. This one-of-a-kind memorial is located along the banks of Europe's second longest river Danube. It was established in memory of thousands of Jews, who, were shot into the river Danube during World War II. The easiest way of reaching the Shoe memorial is walking along Zoltán Street keeping the river in front of you. You can also go there by walking along the bank of the Danube in the direction of the Parliament. If you have a passion for equine sports, paying a visit to the Kincsem Park is an absolute must for you during your trip to Budapest. The park has been christened after Kincsem, who is believed to be one of the most successful thoroughbred racehorses Hungary has ever had. This premiere racecourse in the city covers an expansive area and is situated near the Heart of Budapest. One of the best features of this racecourse is its adrenaline-boosting atmosphere. You will not need to spend anything to watch a race in this park; however, if you wish you can surely bet on a racehorse. Don't overdo it though. Heart of Budapest was constructed in 2010. Strolling along the main street of the city center would not only allow you to savor the city's old charm, but will also give you the opportunity of witnessing multiple key spots such as the city's biggest library network Szabó Ervin Library. The library is situated in Kalvin Square. Then, there's University Square, the part of the city where you will always see young students walking by. The area also houses a number of cool statues. Overall, it has a very chilled out ambiance. 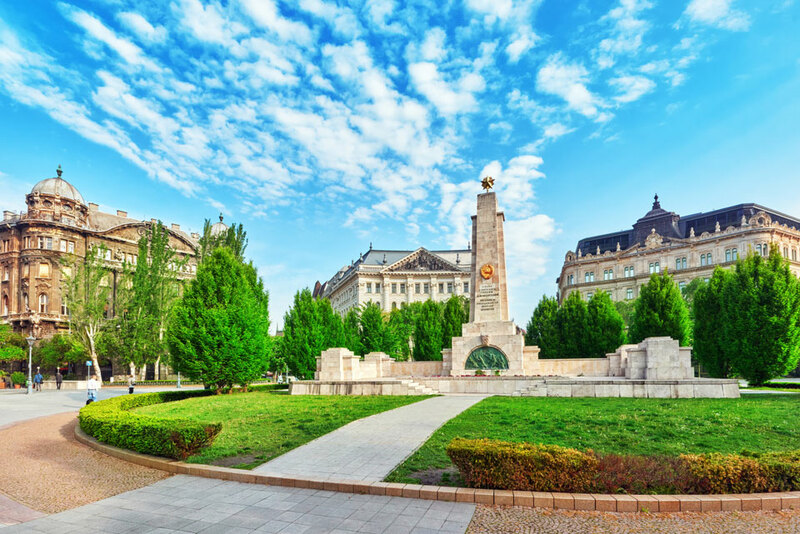 The next must-visit zone of the Heart of Budapest is the Liberty Square (a.k.a. Szabadsag Square). It has an adventure fountain, which keeps squirting water at the passersby. Liberty Square (a.k.a. Szabadsag Square) is located in the Lipotvaros neighborhood of Budapest. It's true that almost all top galleries of Budapest would require you to pay an entrance fee. However, the good news is that the city has a number of small artistic hubs that can be visited without paying a single penny. Visiting these galleries would help you in understanding the city's (and even the country's) art scene. The downtown side of the city has quite a few galleries; examples include Varfok Gallery, Telep, etc., The region behind Gellert Hotel on Bartok Bela Street also houses a few small art galleries and design shops, visiting each of which would enrich your artistic self. The Vajdahunyad Castle is located inside the premises of the popular City Park. Originally, it was constructed out of wood and cardboard. However, the current structure has been crafted out of more durable stone. As you walk along Vajdahunyad's grounds, you will discover that it was designed to appear like the grounds found in the countryside of Transylvania. 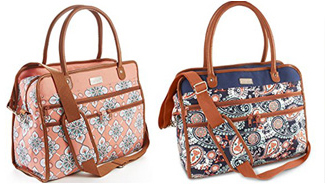 Like the Transylvanian grounds, these also feature Baroque, Renaissance, and Gothic architectural styles. This castle is a great place to relax and unwind. You can read a book sitting under one of the shady trees or beside a statue or can enjoy your leisure by dipping your tired legs into the castle's lake. Cave Church should definitely be a part of your itinerary when you're touring Budapest. You will enjoy the captivating carved stone grotto, which was closed for several years, but now opened and is overseen by Hungarian Paulite monks. Time your visit in a way so that you can see a service at the Cave Church. This will allow you to hear the cave's natural curves (move inside the cave to see those curves) produce unique and fascinating acoustics. It's an experience you will not forget. Facade of the Cave Church located inside Gellert Hill in Budapest . Marked by seven towers that feature seven Hungarian chieftains, the Fisherman's Bastion is one of the most popular tourist destination housed by the city of Budapest. This amazing monument was erected for celebrating the thousandth birthday of Hungary (the event saw the erection of a series of such structures across the country). The Fisherman's Bastion has been constructed on the same site that had a stone wall during the medieval era. That wall was meant to help fortify Castle Hill. However, today, this part of the city is known primarily for offering a panoramic view of river Danube and the city's Pest side. You will not need to pay to enter any of the seven towers. The majority of the balconies are also free to enter. However, if you wish to have a look at the surrounding area from one of the upper turrets, you will have to spend around $3 (kids below the age of six years wouldn't be charged for this). This bridge is possibly the most vital and iconic engineering and architectural work the city of Budapest has at the moment. The Szechenyi Chain Bridge was officially opened for public use way back in 1849 and happens to be the first ever permanent stone overpass connecting the two parts of the city, Buda, and Pest. Walking along this one-of-a-kind suspension bridge would provide you with the opportunity of comprehending the rich history of the city. 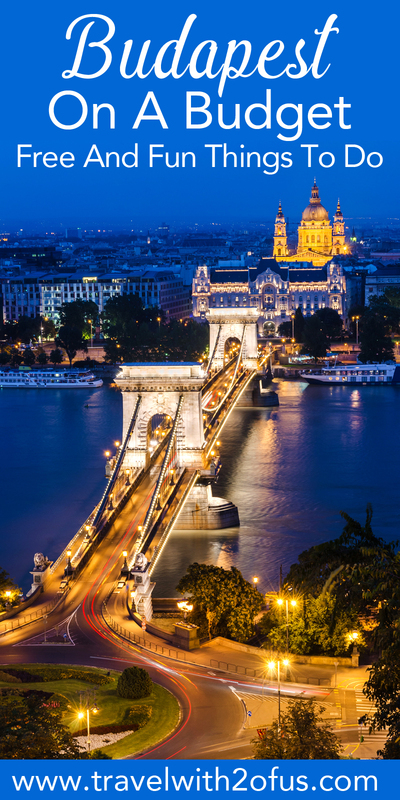 Getting onto the Szechenyi Chain Bridge after sunset is recommended as it would allow you to see river Danube reflect off the gorgeous lights fitted along the bridge. 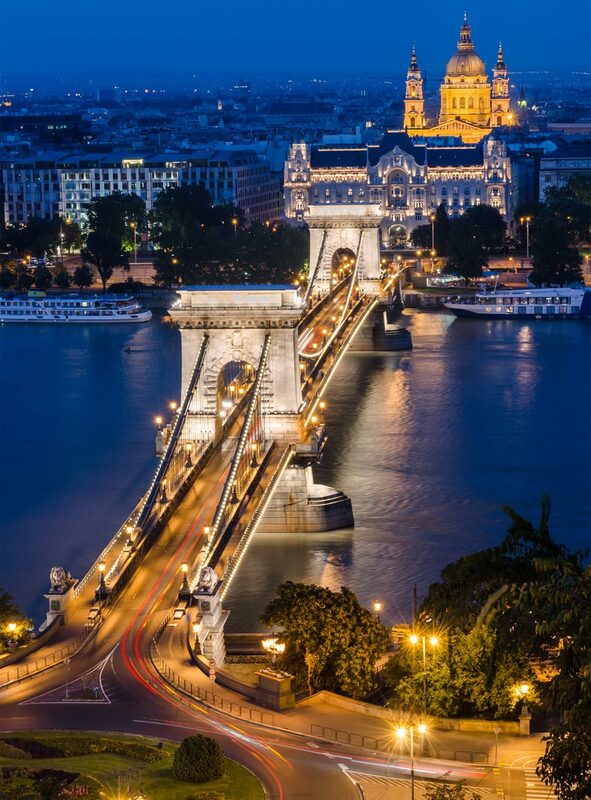 Chain Bridge and River Danube at night. 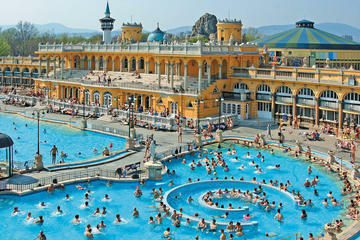 There are many exciting adventures you can do in Budapest and its surroundings. Check out some of these tours. Have you ever visited Budapest? We would love to hear about your experience?